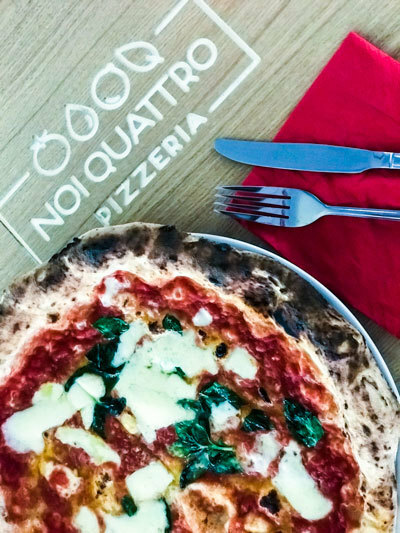 Here at Noi Quattro we are proud of our Italian heritage and we want to share it with you through the food we put on your plate. We are four friends from Italy, and Noi Quattro means “us four”. 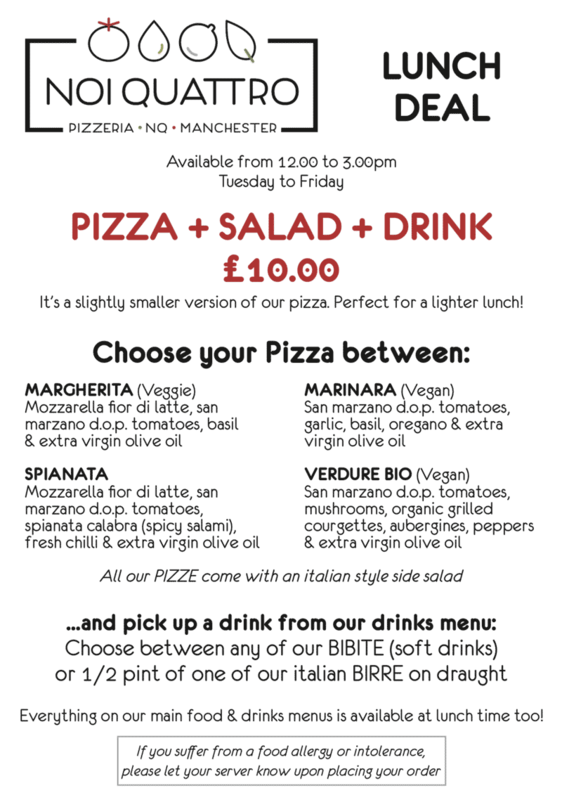 It can also apply to our brand-new lunchtime special set menu, which has four fabulous pizzas to choose from: Marinara with tomatoes and fresh herbs, Margherita with mozzarella, Verdure Bio with mushrooms, peppers, courgettes and aubergine, and Spianata with spicy salami and chilli. Served with an Italian-style salad and a bibite (soft drink) or half of draught birre, it’s just £10, Tuesday to Friday midday to 3pm.